Astronomers using ESO's world-leading exoplanet hunter HARPS have today announced a rich haul of more than 50 new exoplanets, including 16 super-Earths, one of which orbits at the edge of the habitable zone of its star. By studying the properties of all the HARPS planets found so far, the team has found that about 40% of stars similar to the Sun have at least one planet lighter than Saturn. The HARPS spectrograph on the 3.6-metre telescope at ESO's La Silla Observatory in Chile is the world's most successful planet finder. The HARPS team, led by Michel Mayor (University of Geneva, Switzerland), today announced the discovery of more than 50 new exoplanets orbiting nearby stars, including sixteen super-Earths. This is the largest number of such planets ever announced at one time. The new findings are being presented at a conference on Extreme Solar Systems where 350 exoplanet experts are meeting in Wyoming, USA. "The harvest of discoveries from HARPS has exceeded all expectations and includes an exceptionally rich population of super-Earths and Neptune-type planets hosted by stars very similar to our Sun. And even better  the new results show that the pace of discovery is accelerating," says Mayor. In the eight years since it started surveying stars like the Sun using the radial velocity technique HARPS has been used to discover more than 150 new planets. About two thirds of all the known exoplanets with masses less than that of Neptune were discovered by HARPS. These exceptional results are the fruit of several hundred nights of HARPS observations. One of the recently announced newly discovered planets, HD 85512 b, is estimated to be only 3.6 times the mass of the Earth and is located at the edge of the habitable zone  a narrow zone around a star in which water may be present in liquid form if conditions are right. The increasing precision of the new HARPS survey now allows the detection of planets under two Earth masses. HARPS is now so sensitive that it can detect radial velocity amplitudes of significantly less than 4 km/hour  less than walking speed. These results make astronomers confident that they are close to discovering other small rocky habitable planets around stars similar to our Sun. New instruments are planned to further this search. These include a copy of HARPS to be installed on the Telescopio Nazionale Galileo in the Canary Islands, to survey stars in the northern sky, as well as a new and more powerful planet-finder, called ESPRESSO, to be installed on ESO's Very Large Telescope in 2016. Looking further into the future also the CODEX instrument on the European Extremely Large Telescope (E-ELT) will push this technique to a higher level. This planet is about 3.6 times as massive as the Earth and lies at the edge of the habitable zone around the star, where liquid water, and perhaps even life, could potentially exist. Why do they never mention the real facts that the "habitable zone" varies not just for every star, but for every planet? I mean, the mass of the planet and the mass and composition of the planet's atmosphere change whether or not it would be habitable for any given distance to the parent star. On a super earth, liquid water is actually easier to maintain because gravity is greater, therefore atmospheric pressures are greater. Thus liquid water would exist at the surface unless the planet was absurdly cold. A 3.6 earth masses terrestrial planet, assuming similar composition, would have 9763km radius, and therefore 1.533g surface gravity. So if you had the same amount of atmospheric MASS per unit surface area then the pressure would be 1.533 times greater. Assuming it isn't a molten ball of lava, it probably has liquid water, even if it is somewhat outside the habitable zone (at least on the cold side) for a 1 earth mass planet. Although, somewhat paradoxically, I find that Venus would be colder than Mars if it was in the same location as Mars. This probably has something to do with the fact Venus actually has a high albedo. The point is, every planet is different based on mass, age, and composition. You can't just define the habitable zone by distance from the star. That is a LOT closer to Earth's temperature than I first realized. In fact, that would EASILY make this the most Earth-like planet ever discovered, if the assumption is correct, or even close to correct for that matter. The whole habitable zone is based on what our scientist have experienced on earth without even considering what possibilities we have here or elsewhere. On earth all life forms from 4500 to 3500Ma were anaerobic and from 3500 to 2500 Ma photosynthetic life forms appeared and extinct almost all anaerobic life forms via oxigene intoxication. There are life forms completely cosy reproducing in 112c or -70c, there is life form thriving on nuclearing toxic wasted and surviving solely on consuming sulfuric acid and at the ocean floor where pressure is 600 times greater than at the surface and high up in the admosphere exposed to radiation. Unfortunately we know almost nothing about other solar systems let alone about other environmental conditions and its possiblities to adapt, although I wish we would. "It so happens Chad Meyers on the news just said that this planet's average temperature is estimated as 77f...vs Earth's 57.2f..."
"Not sure how they came up with that number..."
And the elephant in the room is- "we're not alone". Would the James Webb telescope be able to resolve the infrared signature of a planet at this distance as an object distinct from the host star? That would allow a more direct temperature measurement and perhaps give additional clues to the mass, composition, and proper classification of the planet. The whole habitable zone is based on what our scientist have experienced on earth without even considering what possibilities we have here or elsewhere. The question I would ask is, did life originate in these extreme (to us) environments, or adapt to it? That would be because there is an elephant in the room! Correct, English is not my first language. Your question is quite interesting and in my opinion it could be both but it is usually the latter one since environmental conditions in any solar system always changes, the life cycle of the star(s), bombardment, vulcanic activity. I tried to say: A habitable zone depends on what life forms consider habitable. Our planet leaves us astonished sometimes under what conditions organismes thrive, let alone on others. Those who deny the existence of or even the possibility of extraterrestrial life share with the creationist the notion that with the perfection of man, God's work was finished. I think this planet has the POTENTIAL to be habitable to humans (with a bit of technology,) and depending on the atmospheric pressure and composition. The gravity is low enough that FIT humans could still reasonably live there, at least if they don't need space suits. Because of the calculated temperature ranges, and depending on the tilt of the axis, the tropics are likely uninhabitable regardless of the atmosphere, and the poles would be uninhabitable during summer, so that excluded maybe at least 3/4's of the planets surface from human habitation. BUT the higher lattitudes of the temperate zones, like between 45 and 60 lattitude, maybe, would probably have a climate similar to Earth's tropics. This planet's tropics would be more extreme than Death Valley, depending on oceans and continents. On the other hand, if the axis is tilted by MORE than 45 degrees it would be the opposite; you'd want to live in the tropics, and the poles would be so extreme from winter to summer that it would be uninhabitable in the temperate and polar regions during Winter and Summer, though you could probably visit in Spring and Autumn with some precautions. Axis makes a big difference in what part of the planet would be habitable, as does the shape and depths of oceans and topography of continents, because that also influences climate and weather. Habitability also depends on the rotation speed of the planet. A slower rotation (like Venus or the Moon) introduces another source of temperature extremes as days and nights would be longer. 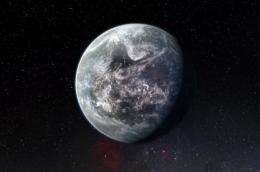 IF it's rotating at a decent speed, it might be habitable. If not, then day-time highs might be above boiling, and night time lows might be colder than Mars. A habitable zone depends on what life forms consider habitable. Yes. We don't even know if life originated above ground or below. It could be that life originated with the extremophiles that feed on radiation and then moved upwards...or it could be that life originated at oceanic vents and then moved upwards (and downwards). There are other energy sources than the sun (the molten part of a planets interior is a vast energy source, as are tidal forces of nearby celestial bodies or deposits of radioactive material). Under these circumstances water in any phase and within a stable environment can occur anywhere - even on planets that don't even circle a sun!